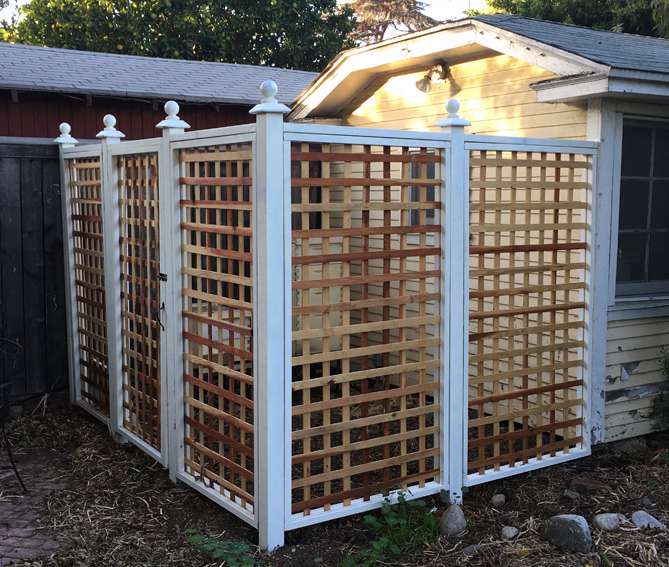 In order to keep the new Saluki and the bees separate, my client, Mrs. Homegrown commissioned a trellis to surround the hive boxes that reside next to her shed. 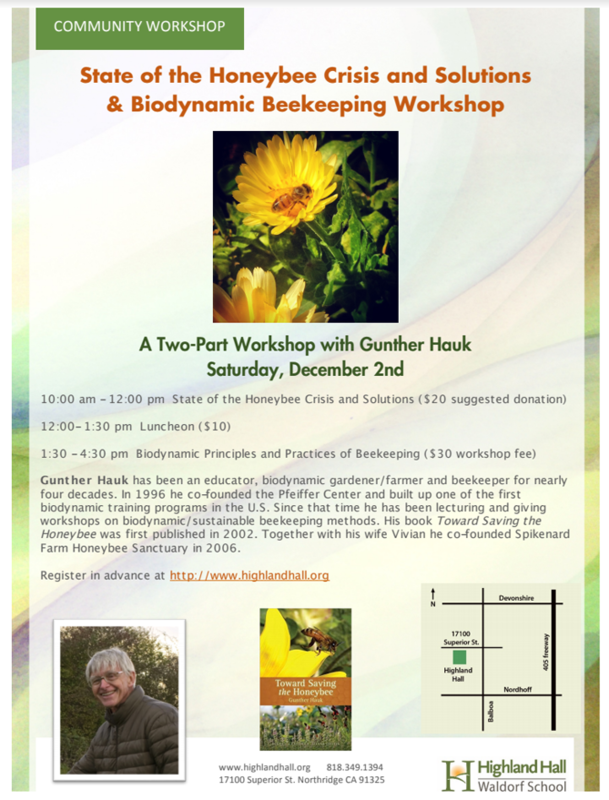 In a small urban yard a trellis around your bees will keep everyone happy. Bees naturally tend to fly upwards after leaving the hive but the addition of a fence keeps the few sideways stragglers from negative canine and homo sapiens interactions. As usual, the design process around Root Simple begins with the realization that our 1920s house looks best when surrounded by fuddy-duddy landscaping (that flipper fence was a mistake!). 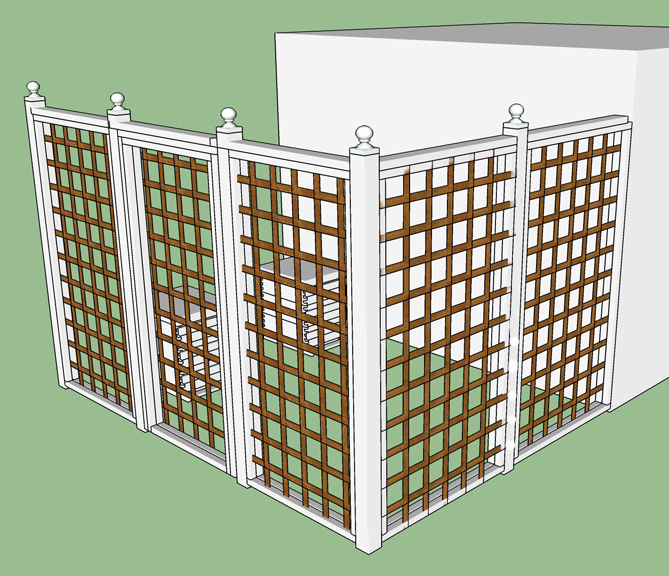 Inspired by a trellis in the front yard of a house in the neighborhood, I sketched out a few ideas on paper and then spent an afternoon with Sketchup finalizing the design. Not liking the trellis options in the Big Orange Store, I opted to build mine from scratch in the workshop. Digging, setting the posts and final assembly had to be done while wearing a bee suit, which slowed things down considerably. 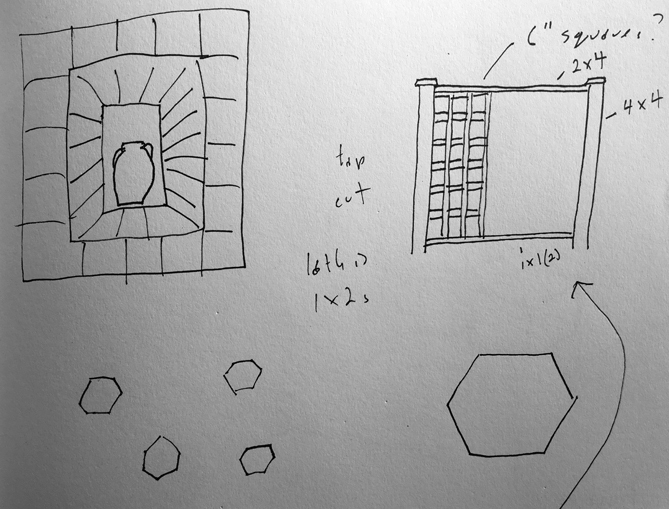 As usual, I encountered obstacles while digging that interfered with the Platonic idea of a trellis I had sketched out. At this point I should have heeded the advice of my woodworking teacher to, “never wing it.” Instead, I forged ahead rather than revising the plans and, as a result, ended up with slightly wonky trellis spacing and missed deadlines. For my own sake I’ll repeat the lessons learned that I can’t seem to get into my head: don’t wing it and triple the amount of time you think a construction project will take. I had a great time last week interviewing the always creative and ever resourceful Federico Tobon for the podcast. 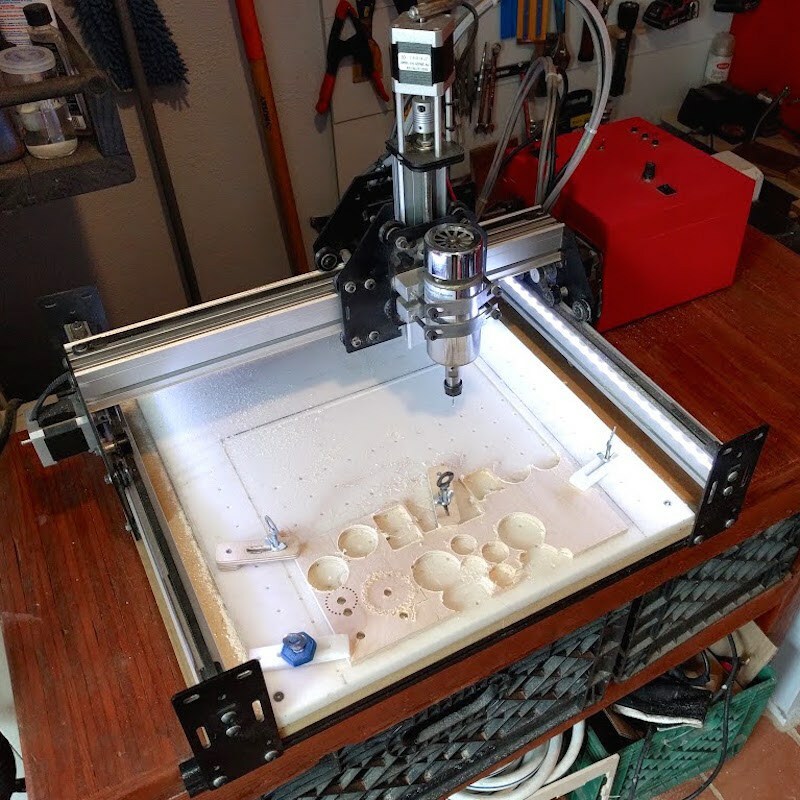 Federico put up a blog post going into more detail on some of the things we talked about during the podcast, specifically the type of CNC router he uses (the ShapeOko 2 ), his social media rules, a video proving that he’s trained his cats (! ), his hand sewn bike messenger bag and a shot of the LA Eco Village rooftop beehive. We talked for hours before and after recording and could talk for many more. Topics of future conversations could include, for instance, the clever milk crate drawers below the ShapeOko 2 and the tool hanging method in the background. Federico needs to host a TV show.